I'm on a mission to repost some of my favorite recipes that hit the interwebs when The Sweets Life was just a baby and the only people reading were my mom and grandma. Scotcheroos aren't anything earth-shattering, but on the off chance that I have readers who aren't familiar with these, I had to bring them to life again. These are one of those dessert recipes that I make again and again because they're always a guaranteed hit. That, and they don't require an oven, so when I'm short on time and not wanting to mess around with the oven, these are always the first thing that come to mind! This time I decided to reduce the amount of butterscotch and chocolate chips in the frosting layer. Okay, it wasn't so much of a conscious decision as inevitable because I had a limited supply of both in my pantry, but it ended up being for the best! The friends I shared this with remarked that they preferred the thinner layer of topping. 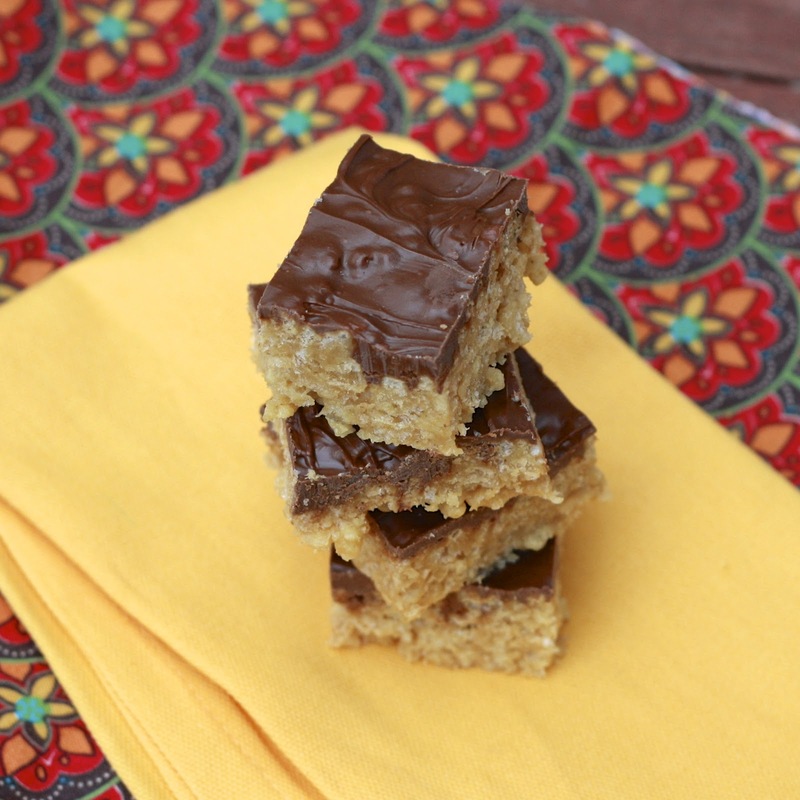 These are so sweet that you won't miss those extra butterscotch and chocolate chips! The winner of the Weelicious cookbook giveaway was picked my random number generator (#36)... Steven who said: I really love any cheesylicious cheddar cracker, and thanks for your posts! Steven, send me an email at natalie@thesweetslife.com so that I can get you your prize! 1. Line a 9 x 13 inch pan with foil and spray with cooking spray. In a large pot over medium high heat, bring the corn syrup and sugar to a rolling boil. As soon as it begins to boil, remove from heat. Add the peanut butter and stir until smooth. 2. Pour the cereal into the peanut butter mixture and stir with a spatula until the cereal is evenly coated. Lightly press the cereal into the prepared pan. 3. In a glass bowl, melt the chocolate and butterscotch chips (heat in 30-second increments until melted, stirring after each). 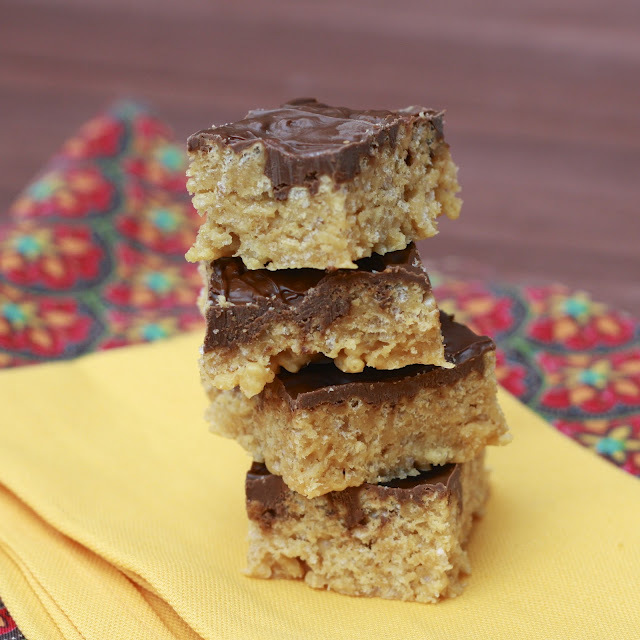 Pour the chocolate butterscotch mixture over the pan of bars and use a spatula to spread evenly. Cover and refrigerate for 10-15 minutes, until chocolate topping is set.